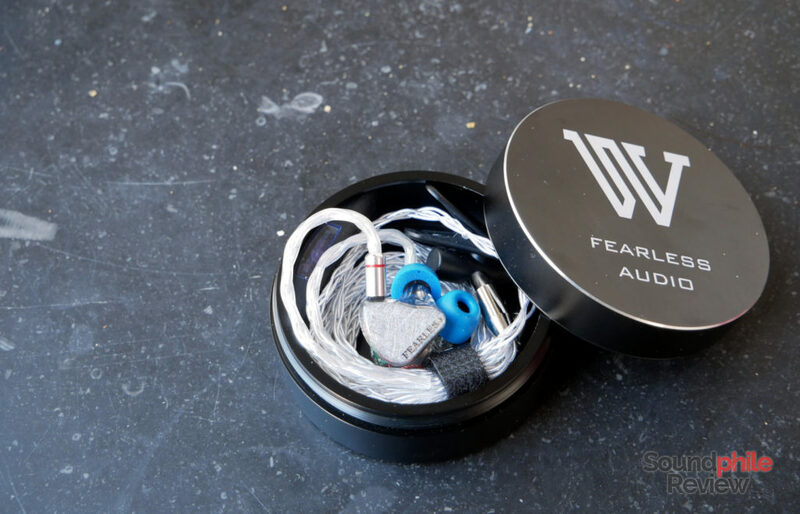 Fearless Audio is the newest kid on the block and it has an entire series of in-ear headphones. In the middle sits the Fearless Audio S6 RUI, which packs six balanced armatures in a transparent design. Let me be clear: by “transparent” I mean the shell is actually transparent so you can see all the balanced armatures inside. But the sound is not less transparent! Disclaimer: this sample comes courtesy of Linsoul Audio. They sell the Fearless Audio S6 RUI on AliExpress and their own website at $389. The cardboard box the Fearless Audio S6 come in is rather standard; what’s not standard is the vast amount of accessories they come with. 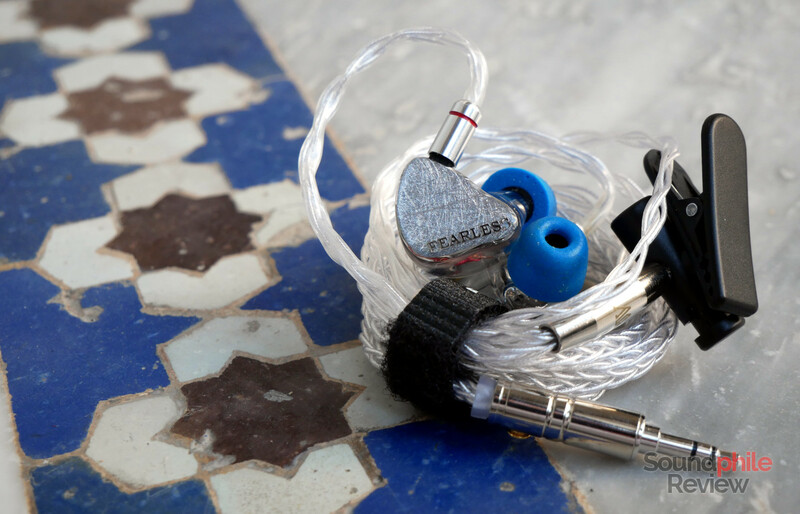 In fact they come with a whole lot of well-made accessories that include a very nice cable, one of the best-made stock cases I’ve ever seen, a complete set of eartips, an unusually-designed cable clip and a small brush to remove dirt from the earphones. You can see other pictures in the related Headphones in Pictures article. The case is really long and opens with the hinge on the short side, which is quite unusual. As you can see in the related Headphones in Pictures article, the case also holds a metal plate with information on the earphones including who assembled them and when (as you can see there, my pair was assembled quite recently). There is a fair amount of padding inside, so the earphones should be always well protected. 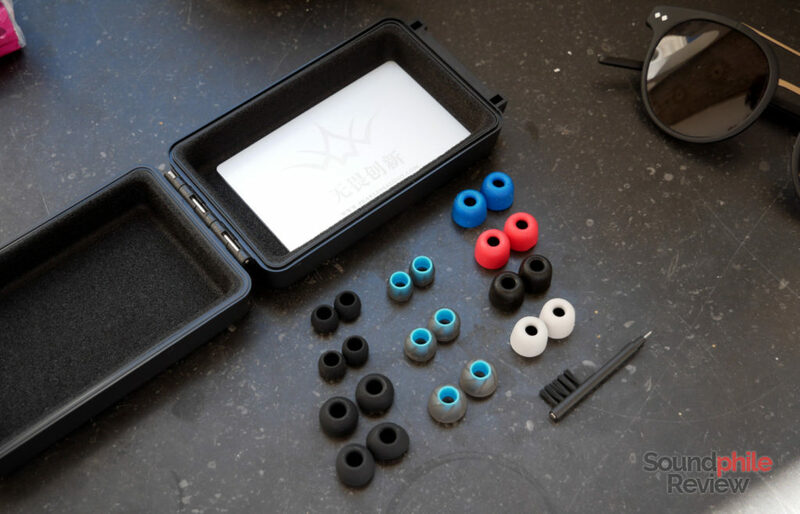 The set of eartips includes three pairs of foam tips (one pair for each colour: red, blue, white/beige), three pairs of silicone tips with a blue inner boring and three pairs of white silicone tips. The tips with the blue inner boring are peculiar in that the outer domes are attached to the centre with strips of silicone that follow a spiral pattern. The cable clip deserves a special mention as it is quite unlike any other I’ve seen so far: it is much larger, and the mechanism by which it gets attached to the cable is spring-based so you press on one side and a hole in the middle opens up. It’s quite convenient, even though it’s also quite heavy and it basically forces you to secure the cable against a shirt in order not to feel the weight on your pinnae. They also come with an incredibly nice metal box with a screw cap. Inside there is an odd box-like thing that seems to contain silica gel spheres. At around 200 g, it is really heavy. The box is really well made with a smooth finish – I would not be surprised if it costed $30 or more to buy it on its own. It appears to be weatherproof – so I wouldn’t submerge it, but I would not be excessively worried if it caught a bit of rain. 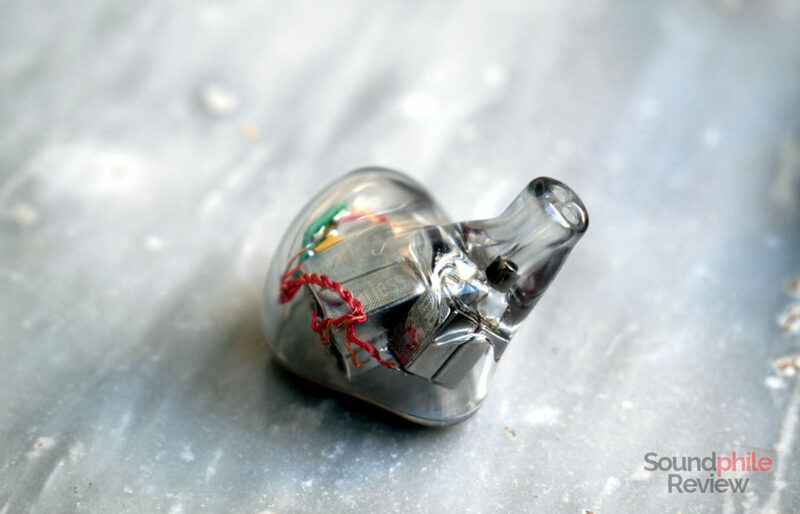 The Fearless Audio S6 RUI is not really innovative when it comes to the shape of the shell, which is quite similar to that of other similar IEMs such as the Toneking T88K or the Tenhz T5. The general shape is triangular, with the shell being mostly linear – and by that I mean there are no anatomical/ergonomic protrusions (think of the “horns” on the inside of the KZ ZSR, as an example). The shell is really more like the KZ AS10, with just small depressions here and there to make them more comfortable. The nozzle reminds me more of those of custom IEMs than universal ones, as it is relatively large and it is a direct extension of the body. It has two small canals leading from the balanced armatures to the tip of the nozzle. The faceplate comes in different colours (there are even wooden faceplates available! ), but I got the standard grey one. The right faceplate has the “Fearless” text written on the bottom, while the left one has the company’s logo. Both are written in silver and seem to be made of a sheet of metal that was cut to size and shape. This makes them appear to pop out from the background. The background itself seems to be out of a Pollock painting, as it is a grey/silvery shade with stripes of more intensely silver brushstrokes. The overall effect is really good and definitely original. In terms of build quality, the Fearless Audio S6 RUI are superbly built. They are solid and made of quality materials. Contrary to many earphones of this type, the balanced armatures are not encased in resin, but they’re floating in the cavity of the shells. This makes the earpieces pretty light, too. Only the nozzles are solid plastic, as the balanced armatures are divided into two groups each having its own canal: bass on one side, midrange and treble on the other. Everything is assembled with care and there’s no play between any of the parts. I can safely say the Fearless Audio S6 RUI are more than fairly comfortable. Their triangular shape without any sharp edges and carefully crafted curves make it possible to wear them comfortably for extended periods of time. Using the foam eartips I have no problems in wearing the earphones for more than two hours. The secret to getting good isolation is finding the right tips. At first I used the silicone tips and I could not hear much difference when I wore the earphones versus when I did not (and I was on a plane when I first tried, so that meant I could barely hear anything that was playing due to the jet engines). I then tried the foam tips and the situation changed completely – I could now hear a strong reduction in the noise coming from outside, so much so that I could have been wearing earplugs! Using the right earplugs, isolation really becomes superb. It removes a large amount of background noise, with only the lowest frequencies not being almost completely removed. Even on a very crowded plane full of children and people chatting at too high a volume, I could barely hear anything of what was happening around me while listening to music at low volume. This also means they’re not the best when doing sports in urban areas – you may want to hear that incoming vehicle! The cable is silver in colour and has eight braided cores. Every part (jack, Y-split, 2-pin connector) is made of silvery metal and is thoroughly defined with a smooth surface and great attention to detail. Those parts are really well-made and well put together. The cable itself is similar in appearance and softness to the Yinyoo 8-core SPC cable I reviewed a while ago, and as I liked it this is indeed a good thing. The cable seems as resistant and durable as affordable replacement cables and this, combined with the aforementioned good quality of assembly, makes for a good cable that won’t require replacement. Comfort is also good thanks to the use of pre-moulded plastic for the ear hooks – there’s thankfully no iron wire. My only gripe with the cable is that it tends to come out of its socket: it is often just slightly out of the fully-in position in the socket, but it is enough to let the earpiece fall off if the earphones are stored in a pocket. This is a true story: a couple days after receiving the Fearless Audio S6 RUI I had them in the pocket of my jacket and when I went to retrieve them I found one earpiece was missing. I instantly became a couple decades older due to the terror of having lost one of the earpieces, but then found it just fell out in the pocket. So, if you don’t want to be like me (and the nazi in Indiana Jones: the last crusade), keep the earphones in their cases. As I wrote this review while travelling all over Europe (and even going as far as Morocco for my first time on African soil! ), I tested the Fearless Audio S6 RUI with mobile sources. Those are a Cayin N5ii and an xDuoo X10T II feeding an RHA Dacamp L1. In both cases I used an iFi IEMatch, in the former case to remove the background hiss and in the latter to attenuate the signal. I also used an Audirect Beam for occasional listening from my PC. All source files were FLACs in standard resolution. The Fearless Audio S6 RUI use six balanced armatures per channel, as implied by their name. The drivers are arranged in this manner: four drivers are dedicated to bass and are actually two dual drivers made by Sonon; one driver is made by Knowles and is used for midrange; the last driver is still made by Knowles and it produces high frequencies. The drivers are managed by a passive crossover. 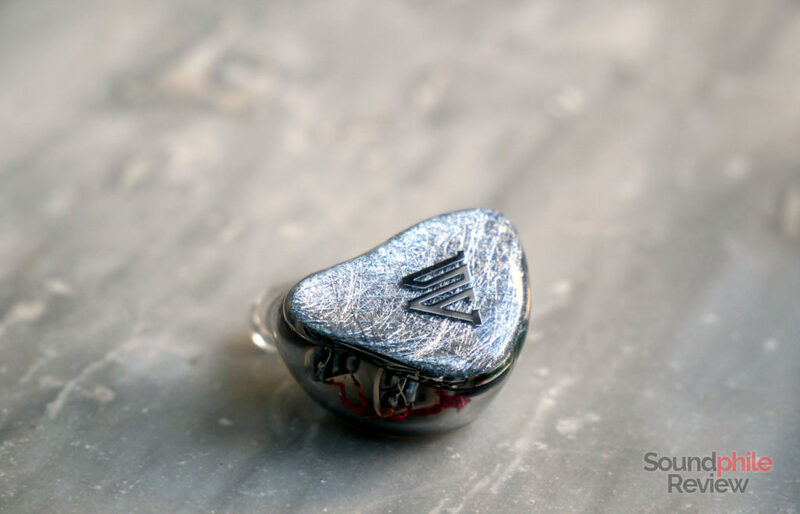 The general sound signature of the Fearless Audio S6 RUI is balanced, but not exactly neutral: it is instead a bit bright, with an accent on treble that gives the signature an energetic, upbeat tone. 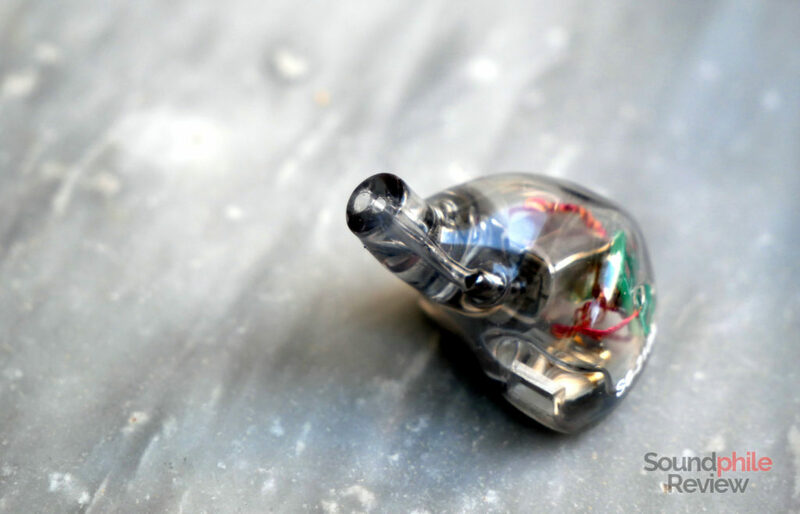 The Fearless Audio S6 RUI showcase very good technical ability, as one would expect from IEMs in this price range. Instrument separation is very well done: all instruments are always clearly distinguishable and are displayed with full details, without any mix-up happening in any area. This makes sound especially clear and allows one to delve into it by listening to each instrument as if it was playing alone. The soundstage is moderately wide; it is definitely not expansive, yet it has more than ample room for instruments not to feel congested and squashed at all. It’s no concert hall, but a decently-sized room. There’s even some depth, although in limited quantity. Imaging is superbly accurate and places instruments on the soundstage with almost-pinpoint accuracy. Each instrument has a place that goes beyond the usual left-front-right triptych and includes all the shades of in-between those three positions, making the sound appear like it’s coming from various directions in a more natural way. Bass is almost the epitome of bass created by balanced armature: very well controlled and super-fast, but lacking depth and slam (or physicality, if you so prefer). It is in fact not incredibly deep, in the sense that while it does in fact reach deep frequencies (it goes as deep as 30 Hz), it does not have that kind of power and punch that make you feel that depth and that give music the necessary energy. Although you can hear that bass is deep, you can’t really feel its presence; this happens in part due to the relatively shy lower section, that produces neutral(ish) bass which is not exactly physical by itself. The good news is that quality is very high and the Fearless Audio S6 RUI is able to deliver some strong technicalities: speed is superlative and transients are accurate and characterised by fast decay; there is no trace of bleeding over the midrange; details are kept intact even when multiple bass lines are playing at the same time. All together, this creates a convincing bass section that’s more geared towards critical listening than fun. Midrange is smooth – and this is the first time I truly understand why this word is used in this context (also because English is not my native language and different words and concepts are used in Italian…). Midrange is very gentle and lacking any excess in either direction. It flows smoothly from the lower end to the upper end, being always clearly audible and with a presentation that hides nothing but also never emphasises anything. I don’t think this is ruler-flat, but it’s still pretty much neutral. It sits in the right place in the mix as it is never “in your face” but neither sitting in the back row; thus it emerges clearly from the mix. Midrange is fast and thus able to deliver a lot of details; it lacks the impact of dynamic drivers, but it counterbalances that with very fast transients and very good control. Thus smaller details are able to emerge, as they’re not overshadowed by other sounds. Once you mix all these things up, what you get is a clear midrange that never shies away from showing even the flaws in the recording, but that allows good recordings to shine with full detail and with the ability to make the listener feel immersed in the sound. Treble is rich and complex, full of easily audible differences in tones and nuances. It is the only part of the range that appears slightly emphasised to me as it is always very present in the mix and sometimes even on top of the rest. This emphasis, however, never leads to any fatigue or excess. Treble is in fact sibilance-free, and devoid of any harshness that would make it hard to bear for prolonged periods. The emphasis seems to be in the middle part of the range, with a bump that then slowly rolls off. Extension is pretty good, and this in turn gives treble depth and detail. Air is abundant, and treble really comes out as spacious and even sparkling. There is a large amount of detail, which does not create the most detailed treble I’ve heard but it is not too far from that (especially once we take price into account). The sound is full of smaller details and subtle nuances, a fact which makes it appear vivid and deep (as in a sculpture that has depth and therefore more “complete” than a bidimensional object). PMV Crescent 8BA: the PMV Crescent 8BA use eight balanced armatures per earpiece instead of six and have a different tuning. Their approach is different from that of the S6 RUI. Their bass is ; midrange is less balanced, as it has a dip in the middle that then protracts in the upper range, so that midrange is actually a bit recessed and oddly tuned; treble is much more laid back and relaxed than on the S6 RUI and is therefore much less audible in the mix. The overall result is a much warmer presentation. In terms of technical ability, the S6 RUI has better resolution (especially in the treble area!) and instrument separation, while the PMV Crescent 8BA have the upper hand in terms of soundstage and imaging. Toneking T88K: like the PMV Crescent 8BA, the Toneking T88K feature eight balanced armatures per channel. Their bass is more forward than that of the S6 RUI, and it also has more impact so it feels a bit more like that of dynamic drivers; midrange is a bit warmer, with brass instruments sounding a bit more recessed, but well balanced anyway; treble is much less emphasised, although more present than on the PMV Crescent 8BA. Overall the presentation is a bit warm, though it’s still neutral(ish). When it comes to technical ability, the Toneking T88K sounds a bit less wide than the S6 RUI, with similar (maybe slightly better!) imaging and slightly worse instrument separation. BGVP DM6: the DM6 is in a class of its own, so it’s no wonder that they’re comparable to the S6 RUI despite costing less than half as much. This does not mean, however, that they’re equal. The S6 RUI are in fact more refined in practically all respects. The DM6 have slightly more prominent bass, whereas the S6 RUI are more refined and present in the treble area. We might say they are complementary to each other. The difference in the bass section is not very large, while the one in the treble area is more noticeable. Midrange is however differently tuned, as it has more presence in the upper region on the DM6 whereas it appears to be more balanced on the S6 RUI. The real difference comes in terms of technical ability: the resolution is superior on the S6 RUI throughout the whole spectrum, with treble being much more refined and accurate. The other aspects such as soundstage, imaging and instrument separation are roughly comparable, though the S6 RUI may have the upper hand in all three (though by a small margin). 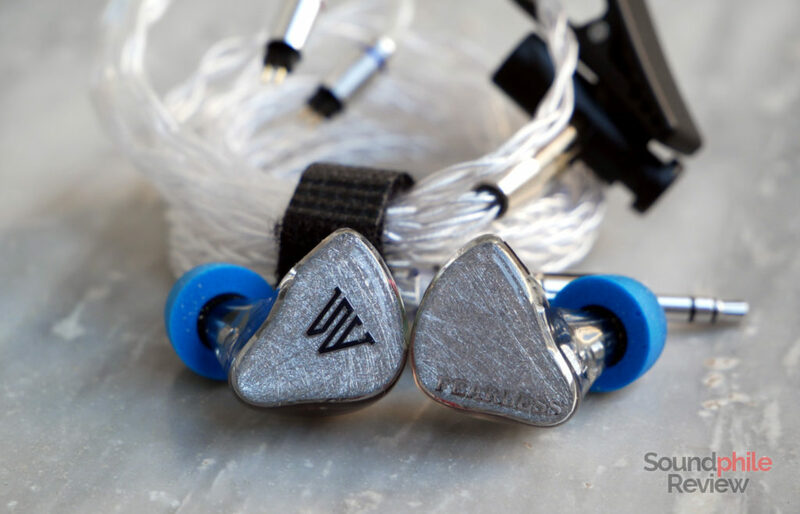 If the Fearless Audio S6 RUI costed $200 less, they would probably be the IEMs to get and they would make the DM6 way less appealing than they are. At roughly three times the price of those, however, they are in the right market position. What this means is that they are indeed great headphones, but you must not expect them to be a steal – they’re fairly priced, very capable in-ear headphones with a lot of things to like and a few things to take into consideration. The first of those things is that treble may be a bit overbearing for those looking for a laid-back signature. The second is that these in-ear headphones sound so good they might be difficult to get out of your ears. They’re comfortable, offer neutral signature with a touch of brightness and superb technical ability. They will definitely stay in my roster of headphones I use as references. Your written english is superb. Had you not mentioned the fact that your native language is italian, I would have thought your native language was english. Your review was excellent and is leading me to purchase the S6 Rui, even though I currently own the S5H. Thank you so much for your compliments. I feel like there’s still a long way to go before I will feel my English would be good enough, but your comment surely bolsters my confidence 🙂 I’m also glad you like the review and that it was useful to you. If you buy the S6 RUI, please let me know your thoughts on them! I’m wondering if you could try something for me. How is the fit if you swap the left and right housings (place left housing in right ear and right housing in left ear) and orient them with cable down instead of over the ear by rotating them 180 degrees. I often do this with iems while at work so they can be removed and reinserted quickly. Thanks so much for the great review! You really got me curious about it, I never thought of doing something like this. I tried and I can’t say the fit is perfect – it’s worse than normal by a wide margin. It may still be feasible, but it’s nowhere near a good fit. I do not know the specific requirements of your job, but one thing I do is to just take the earphones out of the ears without removing the cable from around the pinnae, so that the earpieces are in fact dangling. Have you tried that and/or is that applicable to your case? Thank you for your compliments, too! I don’t quite get it. In your comparison with the DM6 you state clearly that 6SRUI Is better and even un your final thoughts; butcher on your final scoring it gets 8.6 Stars, much less than DM6 and Wiese than DMG… Please elaborate. Price is taken into account. In short: the S6 RUI are good at ~$400, but the DM6 are phenomenal at <$200. Hope that makes it clearer.